THE MARTIAL ART OF WELLNESS: To Sunscreen or Not? You need to know that I have successfully applied for myself that which I will be suggesting in this article; that one does not need sunscreen protection if one applies basic common sense principles. I decided to write on this important topic after noticing that one of my friend had applied sunscreen profusely all over his face and arms when getting ready for our golf game on an average sunny day. I had seen him doing so in years pass, but this time the freshly applied sunscreen cream appeared as a white film layer on his darker olive tone skin. At that moment I felt a “controlled” rage against this multi-billion dollar sunscreen industry. I realize that they, along with their partner the Cancer Research industry, had managed to brainwash a man of darker olive tone skin of Middle Eastern roots into applying sunscreen protection for a 4 hour walk in the park. Have not his father and all their fathers before walked the most sun exposed regions on earth for thousands of years without sunscreen protection and without skin cancers? And are there not hundreds of millions of people on earth in Asia, India, Philippines, Indonesia, Australia, Europe, and all of Central and South America, that walk this earth without sunscreen protection? What is wrong with Americans and Canadians, and others too that fall for this marketing media induced trap? Before I go further, you need to know that I am of fair white skin, that I do get tanned, and sometimes my skin becomes reddish and tingly… but its fine the next morning. And you need to know that I have not applied sunscreen for the last 17 years of my life. Many of you will know that I am a long distance runner (half and full marathon) and that means being outside in the sun for hours and hours at a time year after year. I am also an avid golfer and that means frequent 4-5 hour long walks in full sunlight. I also care for my vegetable garden and take care of my lawn when needed, all in the bright sunlight. And yes, as a child / teenager I did get sun-burnt when stupidly staying hours on a beach in direct sunlight in my bathing suit. And of course I would get sun-burnt again if I did it again. But I would not do it again; I now know that lying bare skin on a beach is not normal… we are not suppose to do that. Why is it that I do not get sunburn, nor get skin cancers? I invite you to read on and stop living in fear of our most important friend in the universe… our magnificent SUN. For decades, and in increasing numbers, we have been dutifully protecting our own bodies and those of our children with sunscreens. Thanks to two monopoly who proclaim to have our best interests at heart; cancer research and sunscreen manufacturers, most people now believe that sunlight causes skin cancer and sunscreen will protect you. Use of sunscreen has soared because the public are doing what they have been guided to do by the medical profession and sunscreen manufacturers. Yet since 2004 numerous research studies are producing some alarming results. Not only is it becoming clear that exposing our skin to reasonable amounts of sunlight is unlikely to result in skin cancer, but findings also indicate that poisonous chemicals in sunscreens are being absorbed into the skin and are responsible for skin cell death. The other undeniable truth is that by concealing our skin from sunlight we are actually exposing ourselves to an increased risk of cancer when blocking out the good UV rays which the body needs to synthesize vitamin D3. The beginning of the bust began back in 2004 when a research study revealed that the chemicals used in sunscreens are, despite previous denials by the manufacturers, penetrating our skin. Some of the chemicals, for example Octyl methoxycinnamate, have been proven to damage cells in mice. The long term effects of this particular chemical and other compounds, which were measured as being present in significant amounts in urine, are currently unknown. There is now an undeniable correlation between the increased use of sunscreens and the continually rising rates of vitamin D3 deficiency making many people ill, yet few professionals are focusing on this issue. The real truth is that no matter what industries who profit from myth-making might tell us, our bodies have and will always need exposure to sunlight to be healthy, and now the physical evidence is emerging. There is no doubt that avoiding sunlight and smearing our skin with chemicals inhibits your natural metabolic processes. The effects of decades of bad advice are now clear. Despite many millions of people avoiding direct sunlight and using ever higher levels of SPF in sunscreens, melanoma rates are on the rise. 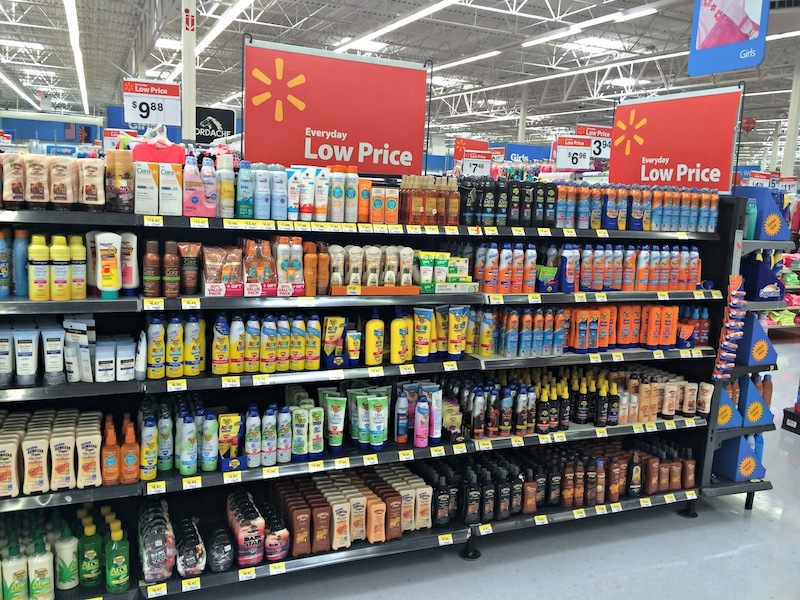 While sales and profits of sunscreen lotions are soaring, so are rates of melanoma and other skin cancers? For American adults in the last 35 years, incidence of melanoma has risen from around 8 people per 100,000 to 24 in every 100,000 (1). Deaths from melanoma in white American adult males have risen by 64% since 1975 and in 2010 accounted for 4.10 people per 100,000. The increase continues at an epidemic annual rate of around 4% (2). 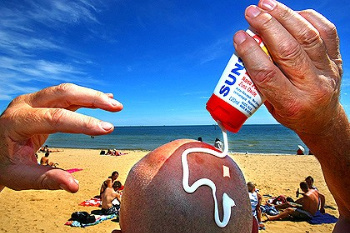 Yet there is also another rise – revenues for the sunscreen industry. In the US alone these now amount to over $1 billion annually despite research revealing that sunscreens do not prevent melanoma. It would seem that the bigger the myth, the bigger the profit. Since the beginning of human history man has always exposed his skin to the sun. Absorption of sunlight is necessary for healthy living and survival. This basic biochemical necessity has recently been substantiated when research revealed that outdoor workers suffer less from melanomas than those who work indoors all year. It is true that we should avoid sunburn, but staying in sunlight until skin becomes slightly pink (if you are Caucasian) and a little tingly, is the sensible thing to do. Balance is the key. Unfortunately this kind of dramatic coverage is not new. For the last couple of decades, as with melanomas, we hear that these kinds of cancer are on the rise – but what is one to do about it? We cannot all become scientists, study sun exposure, skin biology and skin protection treatments. The Cancer Research society tells us that by increasing our consummation of carotenoid rich foods we can assist our bodies in building defense mechanisms against skin cancer and many other cancers. 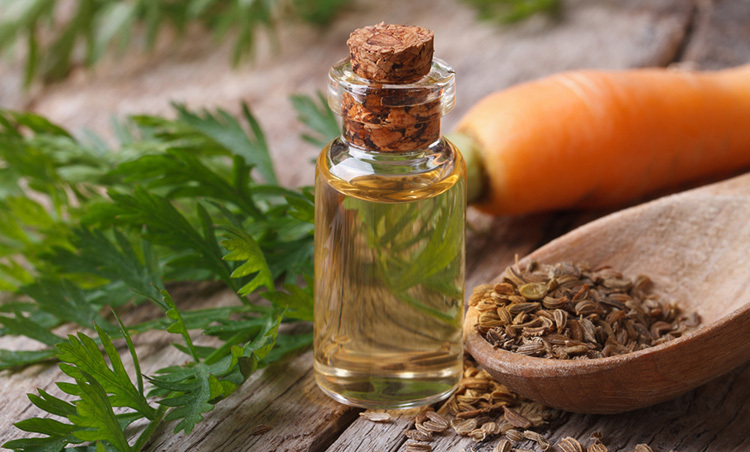 Carotenoids, which are natural sunscreens for plants and humans alike, are antioxidants that continuously scavenge harmful free radicals within the body keeping levels to a minimum protecting our skin – and every other organ too. Now, isn’t eating at least some of the above more appealing than covering yourself in chemicals which penetrate and arm the very skin you are trying to protect! And did you know that by eating the foods suggested above you can actually improve skin color! At the University of St Andrews in Scotland a small study revealed that people who ate only three additional servings of foods containing carotenoids had an increase in their skin tones and coloration in only six weeks. Those who didn’t became paler and less attractive. The glow you would like to achieve when on holiday can be done all year round simply by changing your diet to include more healthy foods. And in case you do get sun burnt, one of the most powerful remedy/foods is organic virgin coconut oil. This is what Polynesians and other Islanders have used for years and is a must have for severe sunburn or even a kitchen burn. All the redness will disappear in a few minutes, leaving no blistering. And its great for beautiful skin and hair. After reading this, and with summer coming many of you will want to maximize your protection without the usual chemical sunscreens offered. What more can you do to ensure you get protection while still being able to enjoy the benefits of sunshine? Well, one convenient way is to maximize your immunity by consuming Bio-Algae Concentrates or BAC on a daily basis. When included in your diet, BAC is an extraordinary ‘sword’ in your arsenal of self-defence because of the dramatic increase in biochemical cellular protection to all cells of the body, including those of the skin. 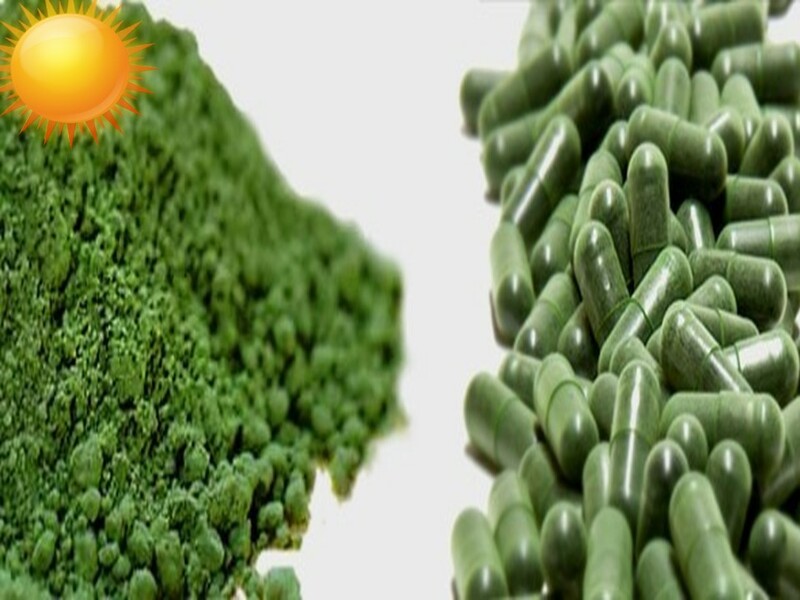 Each capsule of BAC is a bio-photonic power plant and the algae contained in BAC; Spirulina Pacifica, Spirulina Platensis, Dunaliella, and Astaxanthin provide not only nourishing effects but have powerful rejuvenating and healing support properties. The ingredients in BAC are 100% grown in clean habitats free of mercury and air born pollutants, where they are harvested with great care before being preserved with the highest standards of quality. The three BAC formulas (F1, F2 and F3) are certified under Health Canada Natural Product for safety and purity, and authorized to use the claim “a source of antioxidants for the maintenance of good health”. BAC as a wholefood is loaded with chlorophylls and carotenoids known to be the best anti-oxidative agents in our diet: it contains the mighty Astaxanthin which is now understood to be the most powerful antioxidant of all with its free radical quenching activity hundreds of times superior than that of vitamin E and C. The BAC combination of alpha-carotene and beta-carotene enables optimum protection for the skin when exposed to sunlight. It prolongs the tanning process while protecting the body from the harmful effects of UV damage and free radicals which are responsible for premature aging. In short, to enjoy a safe and carefree summer in the sun, make sure to consume your BAC daily.